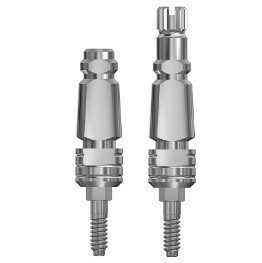 Optimized shape allowing the use for both, open and closed trays. 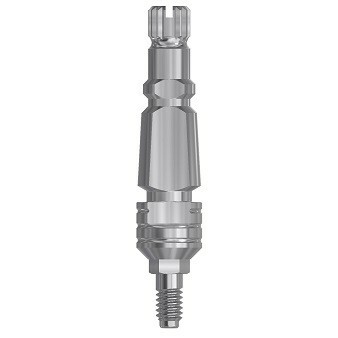 Area of large dimensions to facilitate an easy and safe repositioning for the closed tray impression. 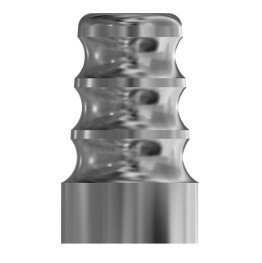 1 mm vertical positioning marks to facillitate locating the implant head. 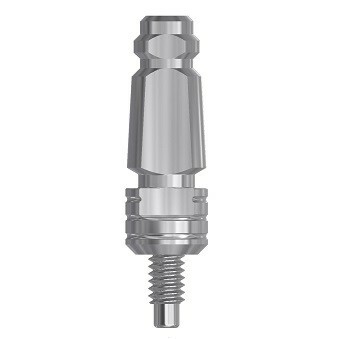 Made of durable stainless steel AISI-303 to better preserve the implant characteristics. 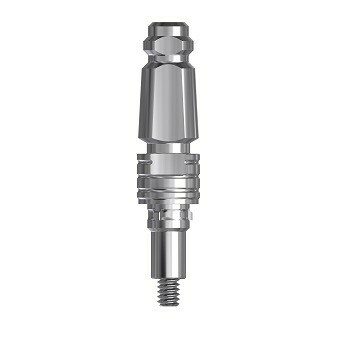 The screw is made of Titanium Grade 5 ELI for the use with closed tray has a minimum external height in order to be used in small mouth openings. 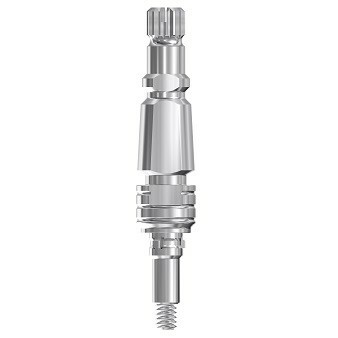 The screw head for use with an open tray has three tightening systems: vertical grooves for direct manual tightening, the hexagon, torx or UG for the tightening with a screwdriver and a slot for the use with a clinical spatula for extreme locations.